Lunch bags are essential for almost everyone! Whether you go to work or go to school, you always have to eat. 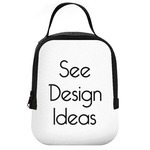 Make packing your lunch fun with an adorable customized lunch bag! Picking your lunch bag is a breeze. 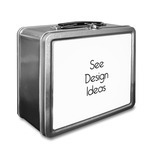 The classic tin lunch box is perfect for kids (or even adults who love a little vintage!). 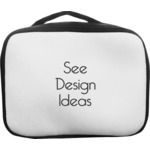 Our insulated lunch bags are great for kids as well! They are easily tucked away into cubbies and are great for keeping their lunch cool. Our lunch bags are the perfect thing for adults who pack their lunch. They are shaped like totes, so they look much more stylish and also insulate pretty well. 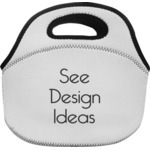 Lastly, our neoprene lunch totes are great for kids OR adults. They hold a little less than most of our other lunch bags, but they insulate well and fit well in the fridge. If you loved our lunch bags, you may also be interested in our drinkware! 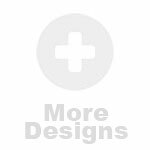 We have water bottles, travel mugs, tumblers, sippy cups, and more! We also have a great RTIC section as well.